Our system is now being used to display guitars in such cool stores as Counts Brothers, Alabama. Use what the pros use. Excellent product! Sturdily made,easy to use,nicely padded to protect your instruments. 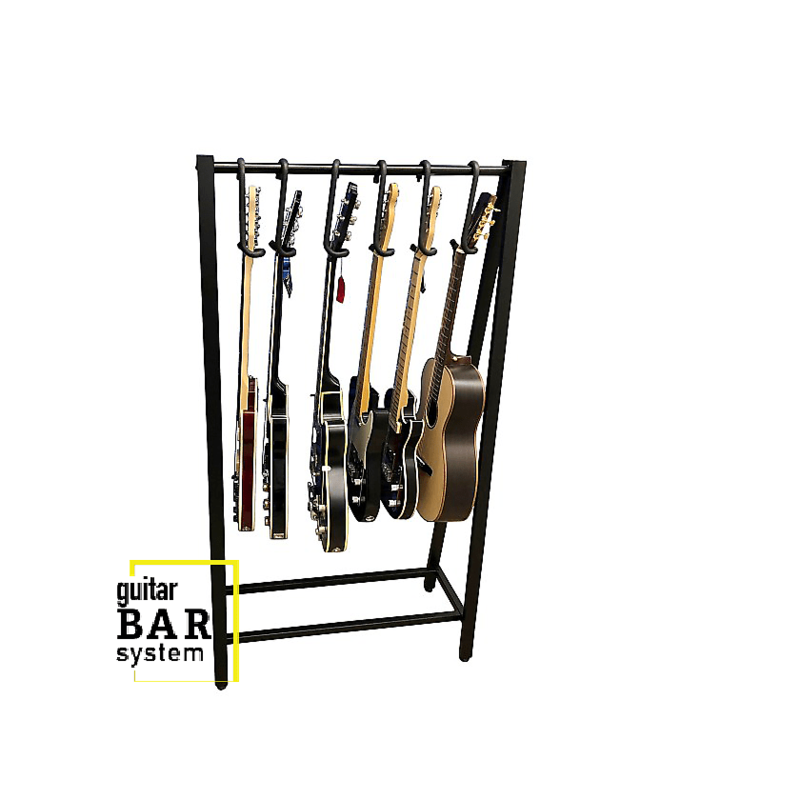 I highly recommend the guitar bar hanger. Fantastic seller, outstanding idea and product! Excellent product, excellent communication and customer service!!! 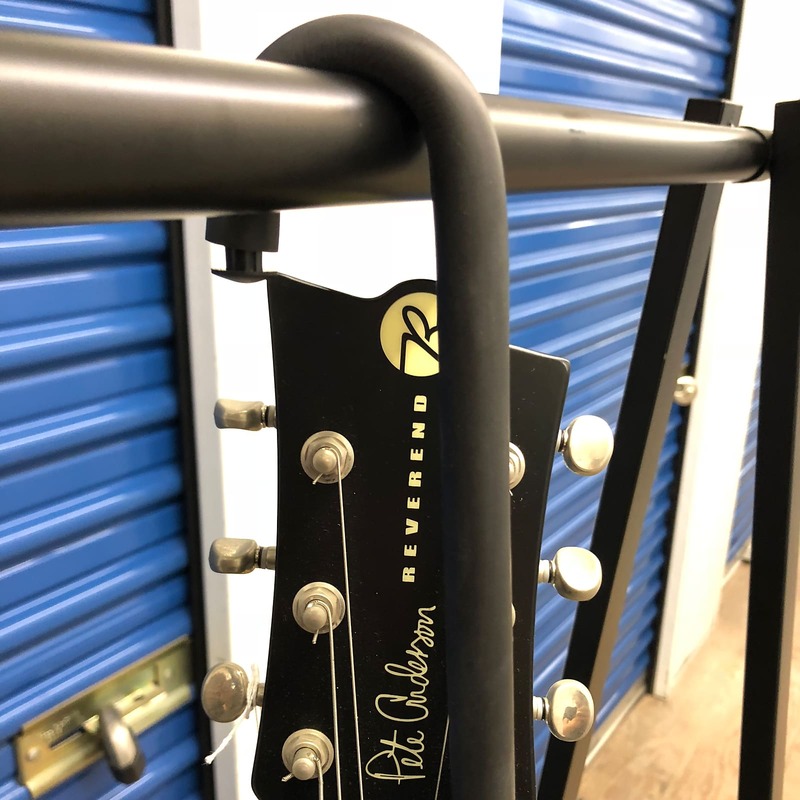 Our Patented Guitar Bar Hanger locks your guitar in place. Watch video. 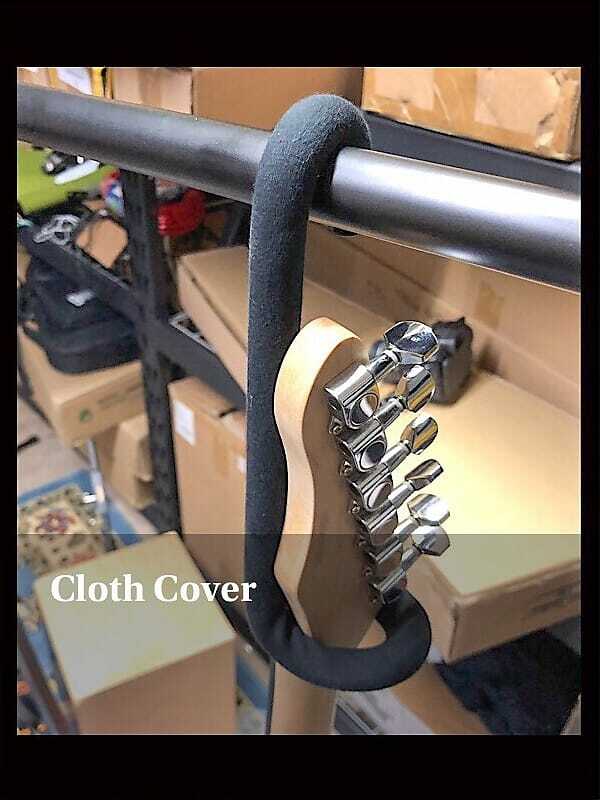 Works with all standard guitar heads and 4 string bases. 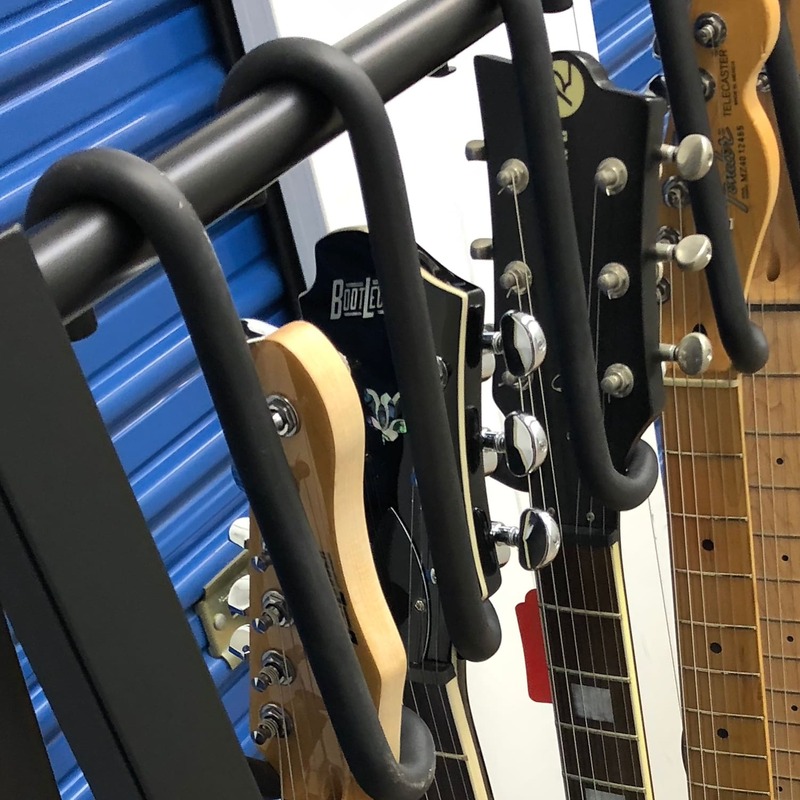 Holds up to 8 guitars. All aluminum welded construction. Rubber adjustable feet to insure stability. 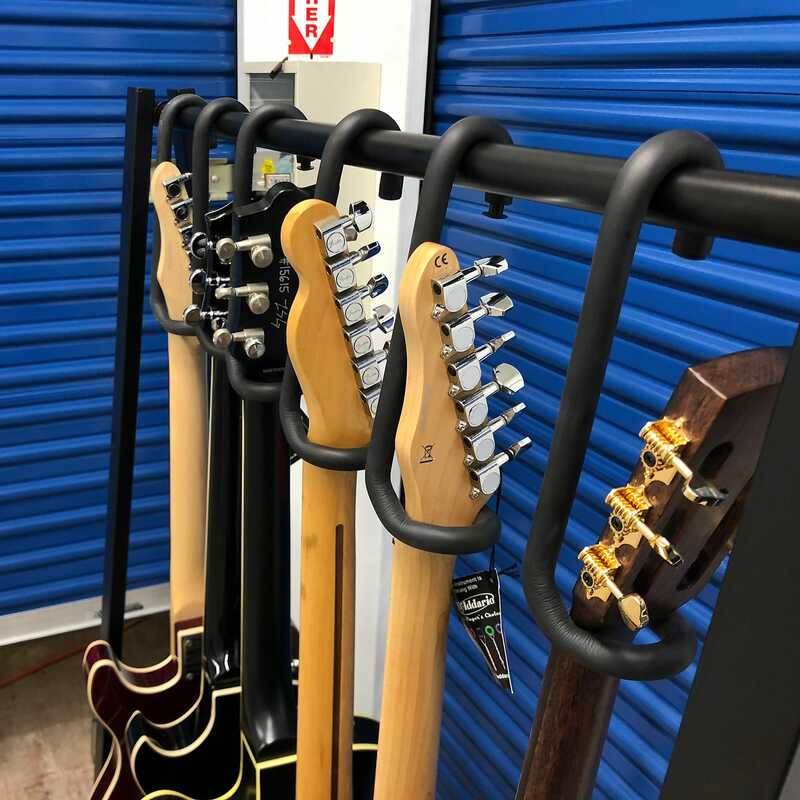 Home, Stage, Store, Studio safe, secure guitar hanger system. 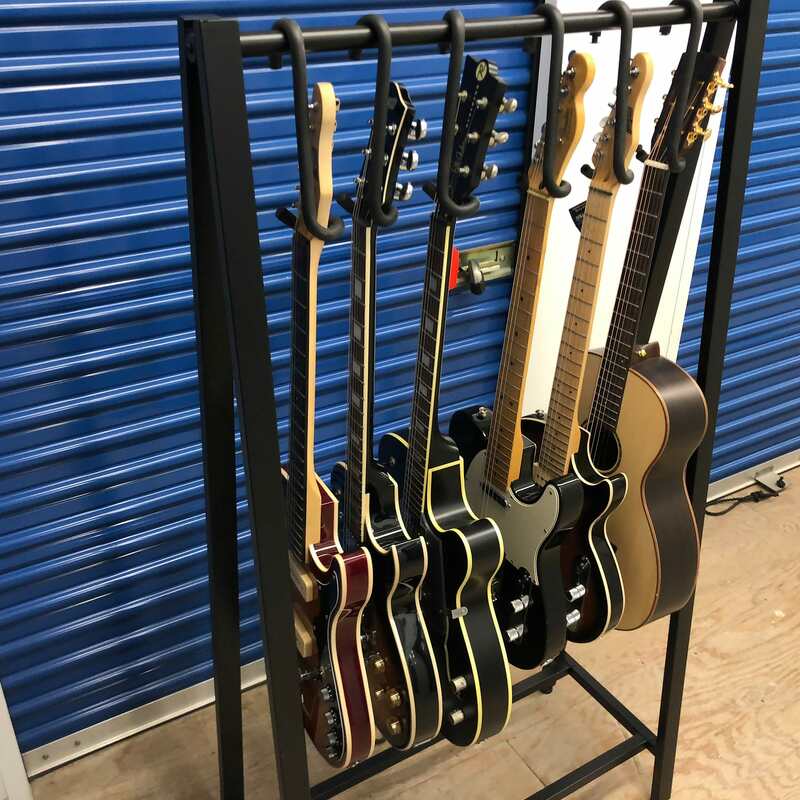 Painted flat black to best show off your guitars. Also works great for professional solo guitar photos. 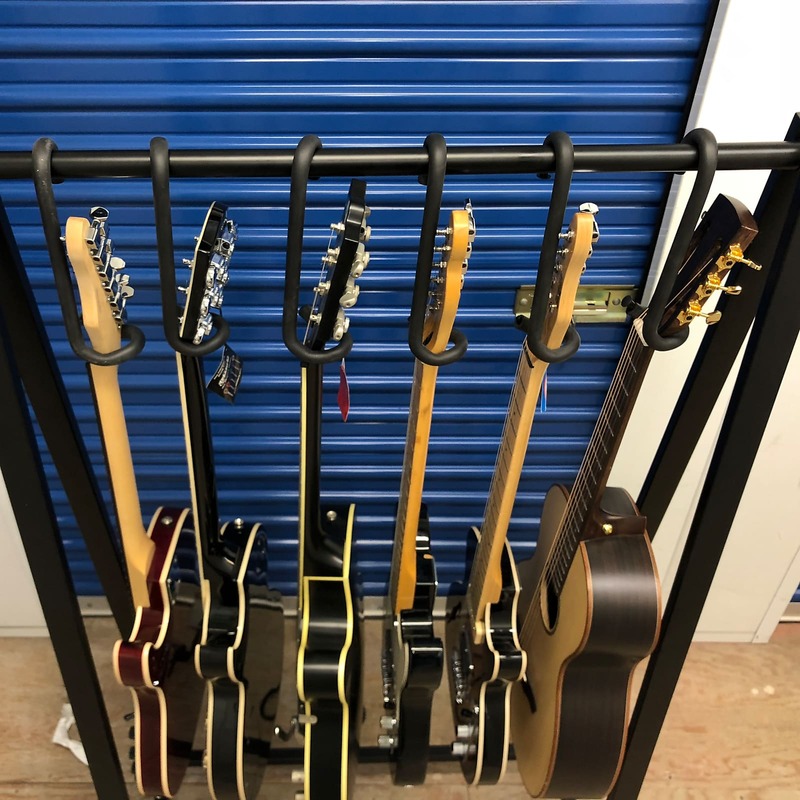 Get your guitars off the floor and safe on our custom rack. 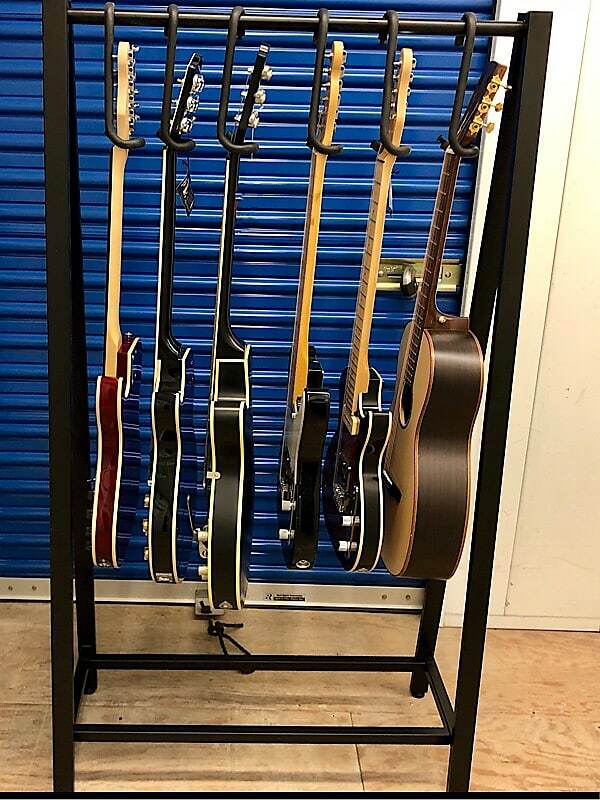 Takes up less room and holds more guitars then any rack on the market. Read are Reverb reviews.